perhaps a unique wedding or adventure wedding abroad? Exciting Weddings will help make your special day a truly unforgettable and spectacular experience. whatever the level of thrill and adrenaline you want for your destination wedding, Exciting Weddings has it covered. 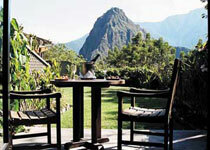 Getting married at the Machu Picchu Sanctuary Lodge, located just a few steps from the magical citadel of Machu Picchu will be a magical experience.